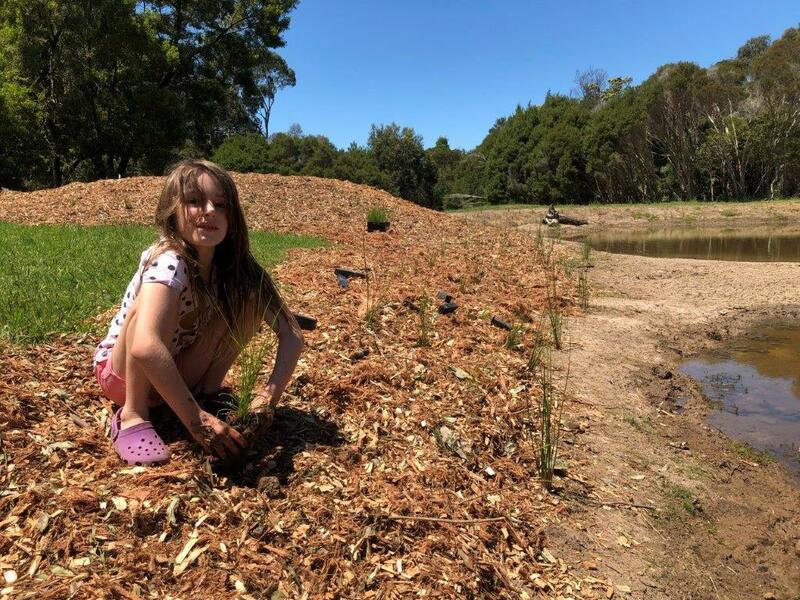 Scott Doughty and Judy Corcoran from G. J. Gardner Homes Mornington are generous supporters of local community groups and their tree planting projects. This year, the Mornington team purchased 240 trees for Paul Di Natale and his conservation volunteers at Merricks Coolart Landcare. 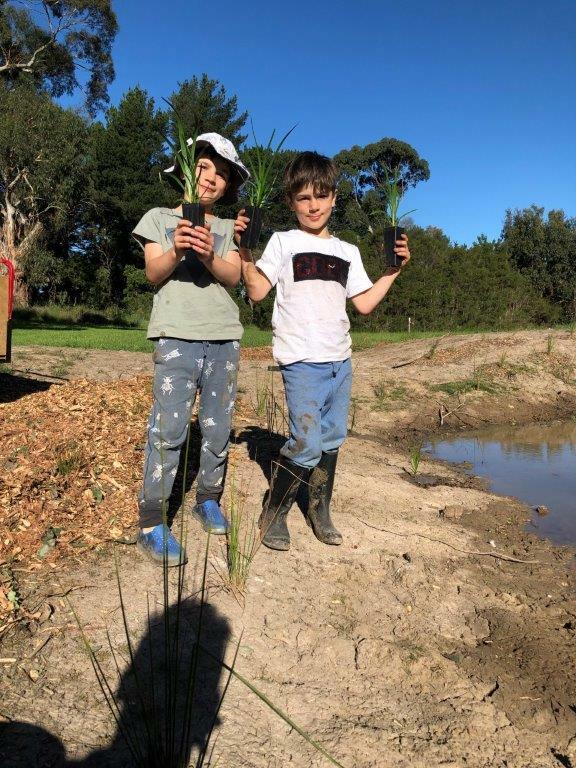 Tree planting at local Mornington wetlands. Thanks to G.J. Gardner Homes and and Fifteen Trees, we got 240 plants in on the weekend. This wet land has been officially been handed over to 30 wild ducks and all sorts of wild life. We even got to all see our first frog spawn which is not only exciting but a good indicator of the health of the wet land. Planting was done by three young conservationists and myself. Next project is to plant the island on the dam and create nesting boxes for the ducks and other birds! Thank you guys so much – this is what makes the world a better place! Thank you to everyone involved in this planting. I know Paul (Merricks) and Judy (GJG) communicated over the course of a year to organise these trees. What a great spot and what a great re-vegetation project. We look forward to seeing this wetland area become a fabulous habitat for the local bird life.